After our 4-day trip in Pokhara, my friend and I decided to stay in Kathmandu for a few days before flying back to our home country. We thought it would be nice to have a little time for relaxation. With this in mind, staying in a wonderful hotel is the answer. 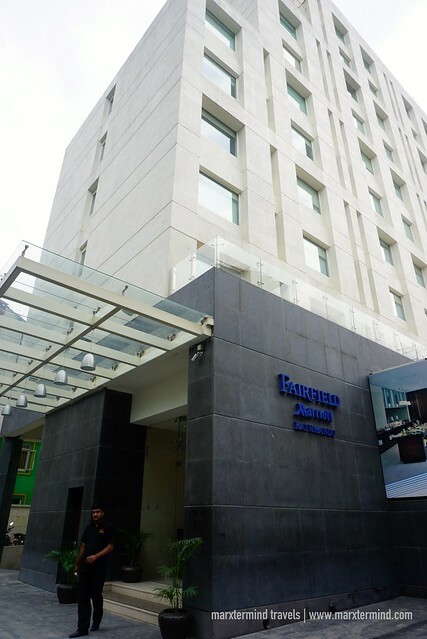 One of the few international hotels in the capital city of Nepal, we stayed in Fairfield by Marriott Kathmandu. Choosing this stylish hotel was indeed a treat to end our vacation. It has nice facilities, comfortable accommodation and delectable dining place that made our stay a truly remarkable one. The hotel provided us all the comforts and conveniences we needed, most especially after that long bus ride from Pokhara that took more than 12 hours. Travel time by land between Pokhara and Kathmandu normally takes only 7 hours but due to the traffic jam on the highway, the trip took longer for us. It was already past 7:00pm when we reached the city. From the bus stop, we rode a cab so we can easily get to our hotel. We arrived at Fairfield by Marriott Kathmandu around 8:00pm. We went straight to the front desk and presented our passports to check our room reservation. When it was confirmed, I was asked for my credit card for security deposit. After a minute or so, the staff handed me our key card. Checking in was smooth, I must say. Before going to our room, I asked the front desk if what time does the restaurant closes. Then I learned it is open until midnight. Gladly we still had enough time to enjoy the buffet dinner. So we went to our room dropped our pieces of luggage and backpacks, took some photos and went back again to the ground floor to have our dinner. 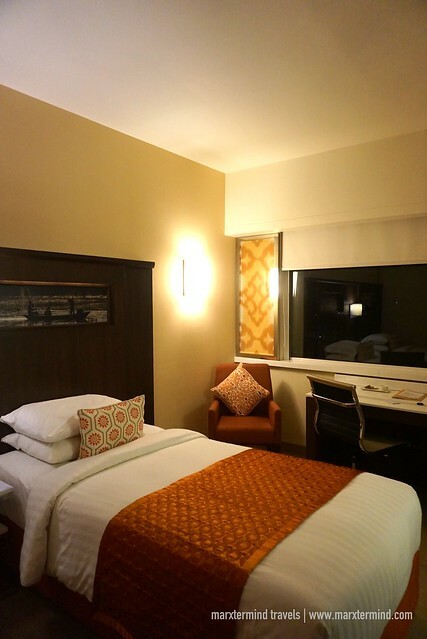 Fairfield by Marriott Kathmandu features bright and down-to-earth rooms that are smartly designed. Each room has thoughtful amenities to make sure that guests can have exceptional sense of comfort. Guests can choose from two types; namely, Fairfield Room and Superior Deluxe. You may check this link for room rate and availability. We stayed in a Superior Deluxe accommodation. It is air-conditioned and comes with twin beds. Though the room was quite small, it is equipped with every amenity we needed to enjoy our stay. It has comfortable beds and facilities like flat screen TV, minibar, ironing facilities, electronic in-room safe, hair dryer and tea and coffee-making facilities. The room also has a work desk, chair and a cabinet. 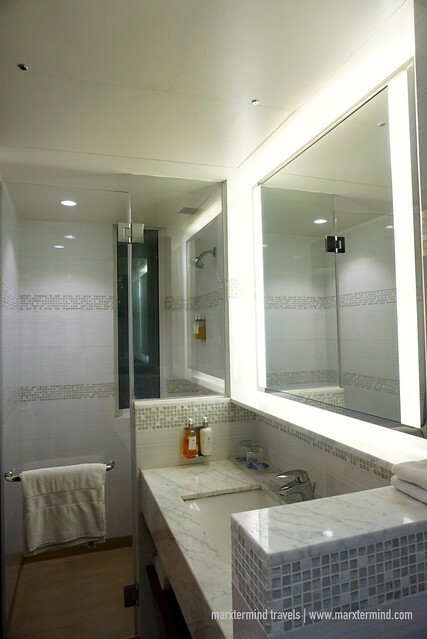 The room also features a sleek marble bathroom that is complete with lighted mirrors and upscale bathroom products. 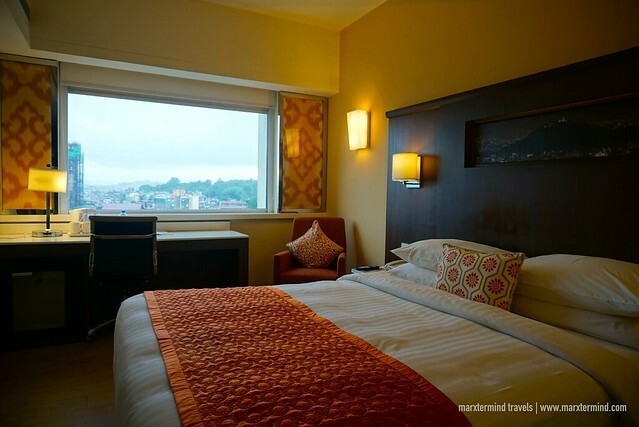 Our nice and cozy room at Fairfield by Marriott Kathmandu was perfect to have pleasant vacation. We felt very comfortable during our stay. The room was also clean and well presented. It was certainly an ideal place to stay to make the most of our vacation days in the city. An added treat, our room also has a lovely view of the city and the mountains. A wonderful hotel always comes with magnificent facilities. That is true with Fairfield by Marriott Kathmandu. 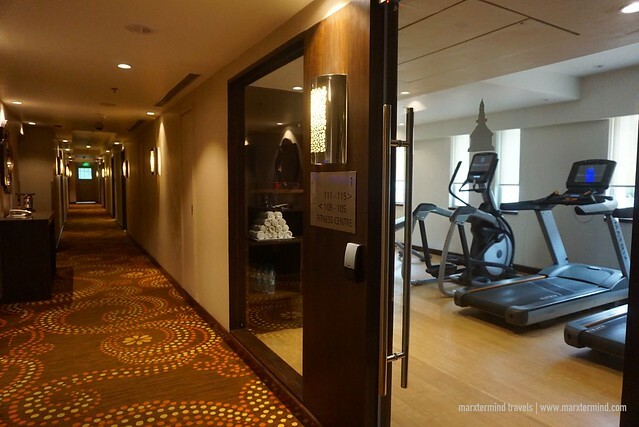 The hotel offers an array of amenities and services to give guests the comfort and convenience. Some of the facilities to enjoy are the fitness center, business center, parking space and venue for meeting and special occasions. Complimentary Wi-Fi access is also provided throughout the hotel. There’s also a restaurant that is open 24 hours. This is where we had our dinner on our first night as well as where we had our daily breakfast. 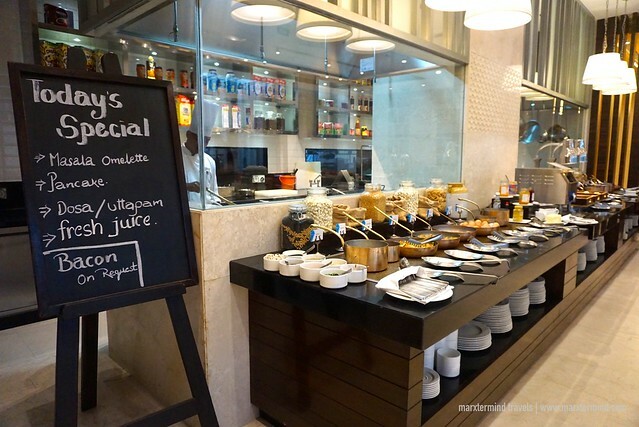 It is an all-day dining restaurant that serves local, Indian and international cuisine. During dinner, we sampled some of its local and international specialties. The buffet spread consists of Kasmiri Pulao, a traditional rice cooked in milk and mixed with dry fruits and fruits, Mutton Rogan Josh, a lamb cooked with Indian spices, Goan Fish Curry, a warm and tangy fish curry that is cooked with coconut milk, Gobi Musallam, a roasted cauliflower coated with Indian spices and Dal Makhani, a spiced lentil-based stew to name a few. Most of these food was unfamiliar to us but we were glad that the restaurant manager made himself available so he could explain to us each dishes. 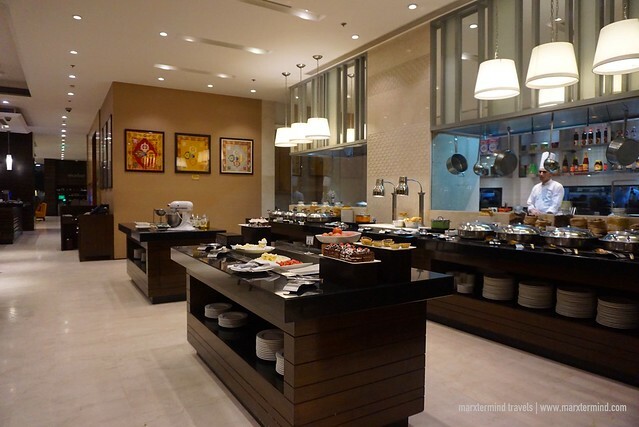 The buffet area also has stations for salad, desserts and beverages. 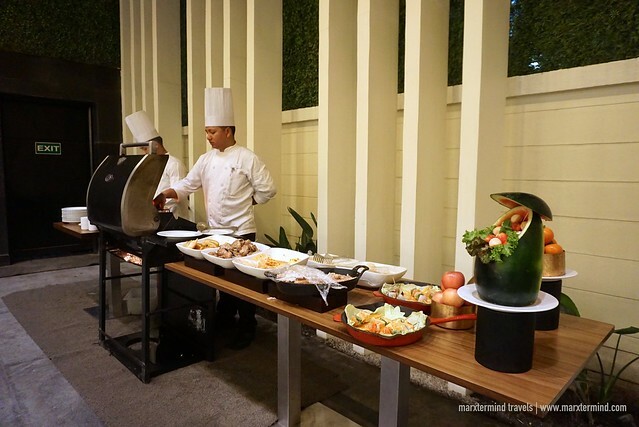 There’s also a barbeque area that evening where guests can have grilled chicken, pork and veggies. I enjoyed our dinner at Kava Restaurant. With sumptuous choices for local cuisine, I was happy that before leaving Nepal, I got able to sample some of the local favorites that I wasn’t able to try yet. I also tried one of the local beers, Gorkha, to cap off the night. 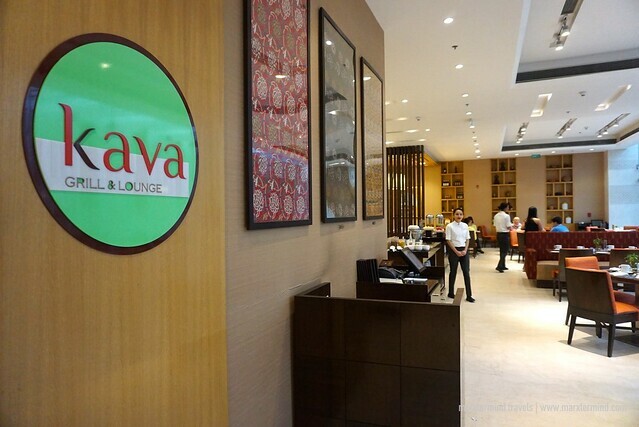 Daily breakfast is also being served at Kava Grill & Lounge. It is also in buffet style. There’s cereal, congee, baked beans, sautéed and stir fried vegetables, mixed fried rice, herb potato, chill basil noodles and chicken sausages. 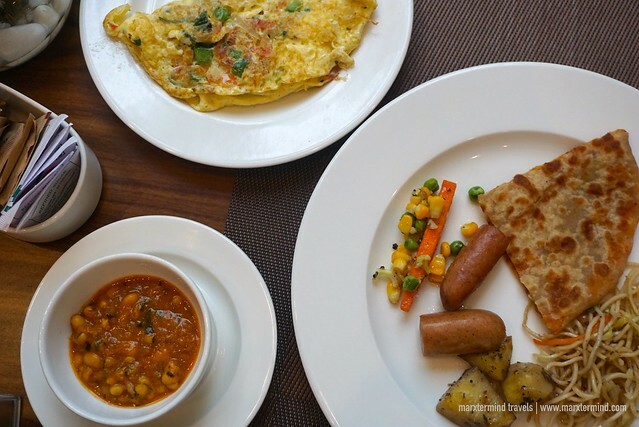 The breakfast also has choices for local favorites like sambar, mixed paratha, sel roti, vegetable upma, and idli. There are also stations for bread, eggs, fruits and salad. Coffee and tea are also available. 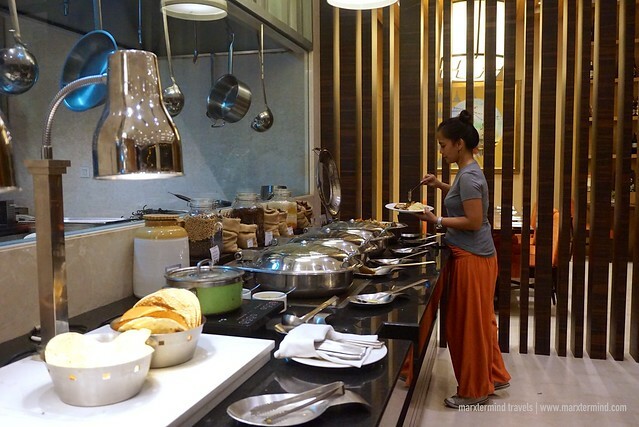 Staying at Fairfield by Marriott Kathmandu is a lovely reward for my friend and I before we had ended our Nepal trip. 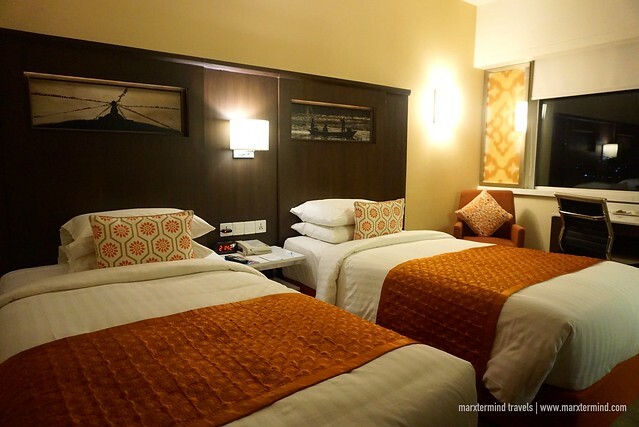 The hotel provided us variety of comforts and conveniences to have a remarkable stay in Kathmandu. 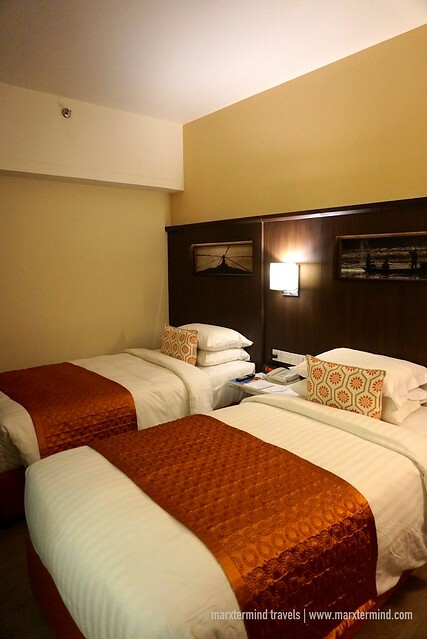 It is a great choice for hotel when visiting the city. It has comfortable accommodations, nice facilities and convenient location. 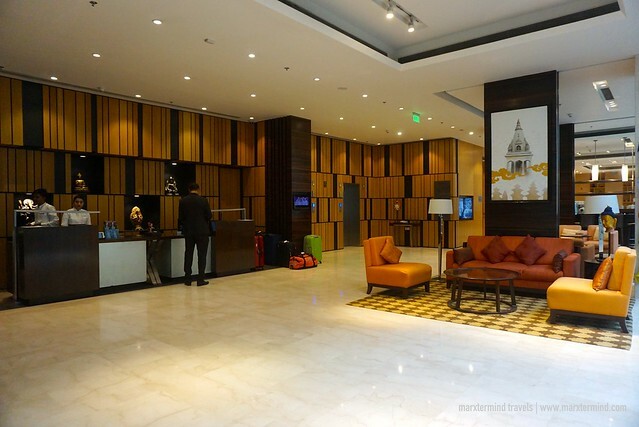 Fairfield by Marriott Kathmandu is a stylish, city center hotel ideal for visitors traveling to Kathmandu. Whether for business or enjoying an incredible vacation, the hotel is a great choice offering comfortable accommodation and easy access to shops, historical sites, tourist attractions and government and corporate offices.